This house is of Italian Villa style and was built in 1857 as the tutor's cottage and servant's quarters for the home of William Murrell. General T.T. 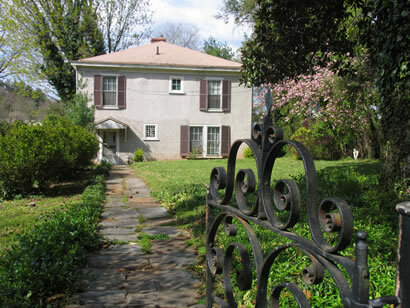 Munford, CSA, obtained the property in 1870. The Tutor's Cottage, originally only four rooms, has been expanded to eight.